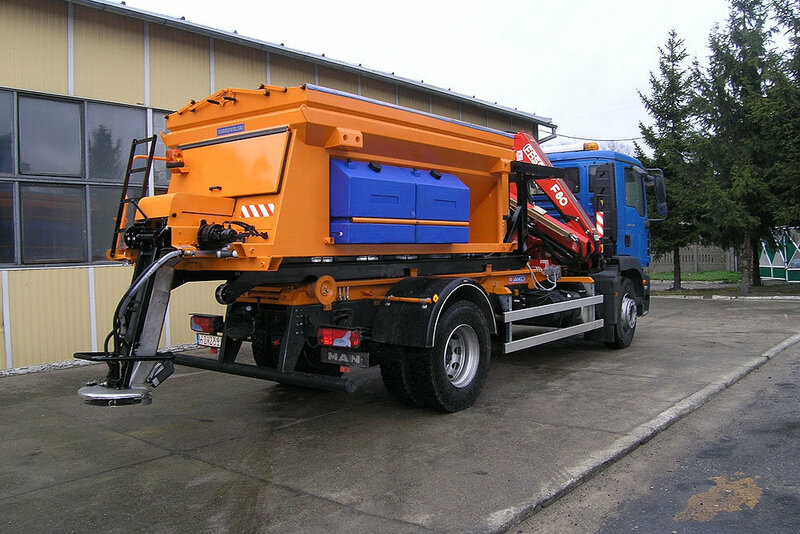 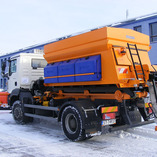 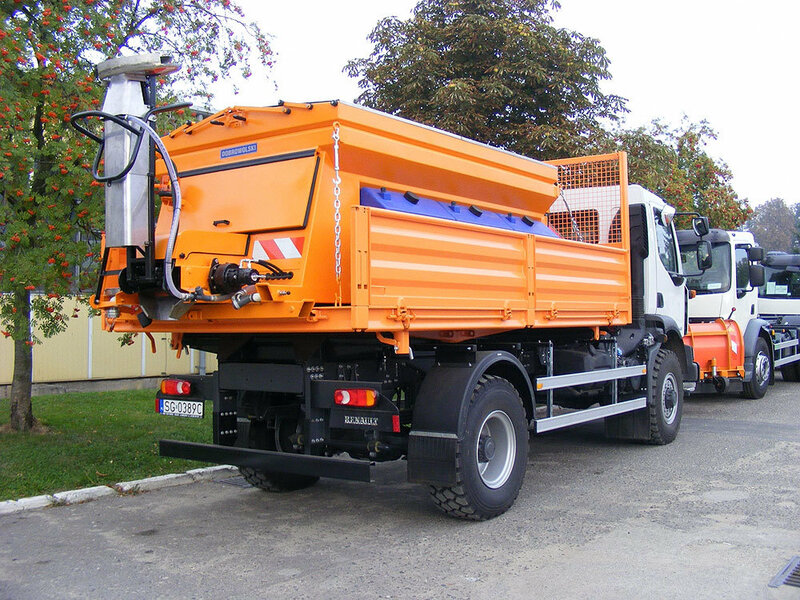 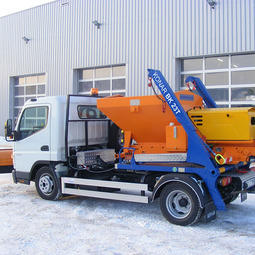 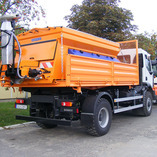 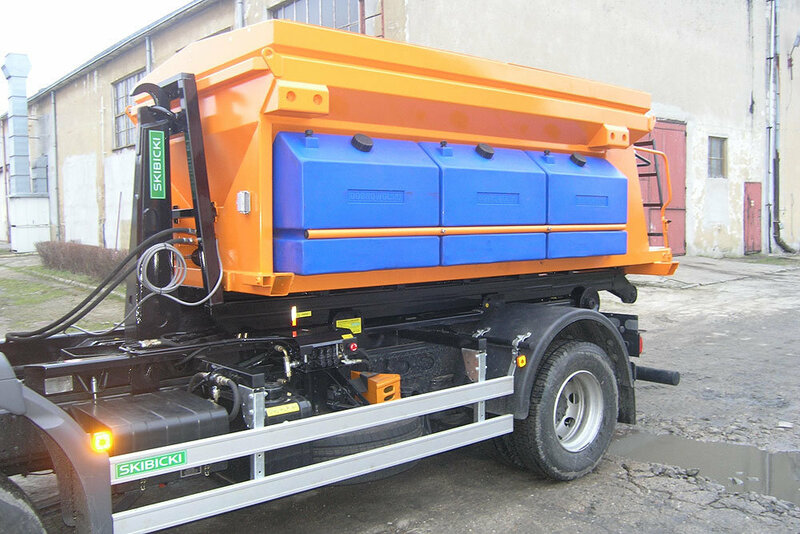 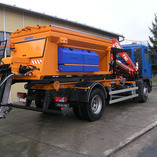 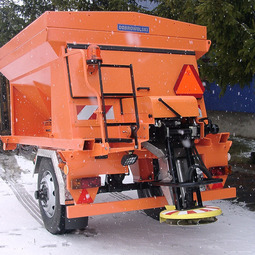 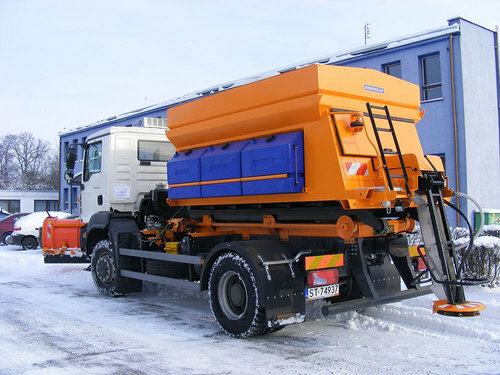 SOLKA is a popular salt/sand spreader with hydraulically driven conveyor belt, used for winter maintenance of roads and streets. 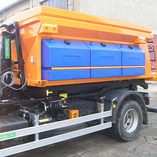 Control of salt/sand spreader is carried out entirely from the cab. 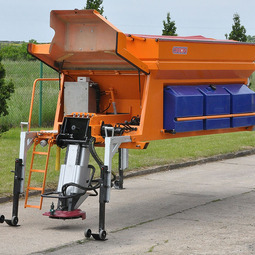 With the use of analog control panel the equipment is switched off/on, the operation rotation of engine are turned on, regulation of density is accomplished and spread width is set.